There are too much BD/DVDs are coming out, we prefer to discuss together how to spend this summer. Do you want to playback a wonderful borrowed Blu-ray movie after party and Gathering of friends? Are you tired of looking for a Blu-ray movie by rummaging through piles of BDs? Or do you hope to reserve the movies permanently without worrying about them being scratched or lost? 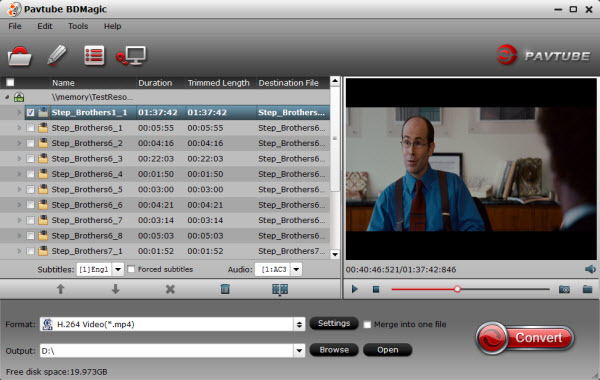 Pavtube BDMagic is a powerful Blu-ray Disc handling tool integrating disc backing up(ripping) and transcoding functions. For backing up, Pavtube Blu-ray Ripper can make a 1:1 copy of BD movies to your computer with all subtitles, audio streams and chapter information included, as well as directly copy BD main movie without extras. Moreover, it can re-encode Blu-ray movies to HD and SD video in over 50 file formats including H.264/MPEG-4, DivX, XviD, MKV, MP4, AVI, MPEG, WMV, FLV, SWF, F4V, MOV, 3GP, etc. 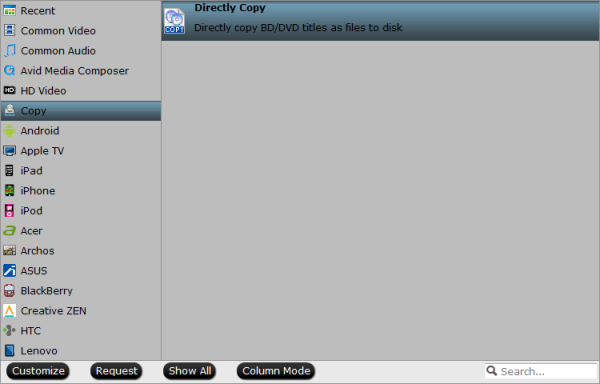 Unlike DVD, the directory structure of BD is much complex, and many other similar software may have the problem of incomplete back up or converting. However, with Pavtube BDMagic this kind of thing is never gonna happen. You can achieve your problems with few steps, just following below. Step-by-step guide to show you how to Copy Blu-ray to PC Hard Drive for Backup Purpose. Step2. Insert your Blu-ray disc in the BD drive to load the movie, launch the Pavtube BDMagic and you’ll see the interface as below. Then click the icon upper on the left to add Blu-ray movie from BD drive. Step3. Click on Format bar lower on the left, then there is a list of formats for you to choose. Here you may choose the item Copy to dierctly copy BD files to PC, but the full BD copy will occupy most space of the disk of your PC because of the large source file. So the formats in HD Video would be your best choice, which is much smaller to save space as well as possess high quality as the original. Here you can choose MKV, MP4, WMV, AVI, etc. in HD Video. As Directly Copy is a 100% Blu-ray backup, so you don’t need to change any settings, just keep it original. If you select other output format, you are allowed adjusting output video and audio parameters, such codec, size, bit rate, frame rate, etc in order to have a high quality videos. Step4. Click “Convert” button to start downloading Blu-ray disc to local hard drive. Besides, the speed will surprise you too, it won’t bother you by taking too much time. When the convert is done, click Open to get the output files. That’s it! Having reading above guides, it is easy to find out that it is an easy-to-use software without any video and audio out of sync issue. Just 4 steps can help you to get work done at a fast speed. Do not hesitate any more, just go to get it. How to convert Blu-ray movie to Android Tablet and burn onto a DVD disc?